"This was the best session I attended. It gave me a great understanding of real business organizing." 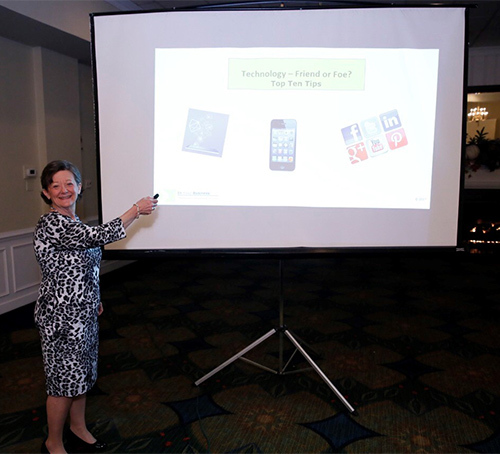 Education is a key component of the services In Your Business offers. 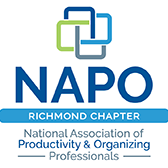 Our organizing classes and workshops are presented to individuals, businesses, organizations and community groups throughout the Richmond area and on the national level. Are you bombarded with interruptions? Is your TO DO list endless? Do you have time to complete tasks or projects? Do you ever file something somewhere and then can't remember where you filed it? Are those important e-mails and documents lost or buried when you need them? If you are an entrepreneur or manager who feels overwhelmed with your schedule, meetings, technology and paper, this class provides some easy-to-implement tips for being more productive in your office. Tackle the Paper & Electronic Nightmares — Organize Your Office! Do you have piles and stacks of paper on a desk, table, or some other visible surface in your office? Do you ever file something somewhere and then can't remember where you filed it? 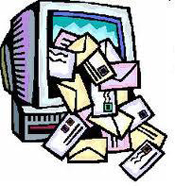 Is your e-mail inbox overloaded and is that important e-mail lost or buried when you need it? Do you have multiple "TO DO" lists throughout your office, on your computer or on your mobile device? 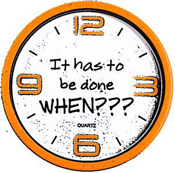 Do you have time to complete tasks or projects? Do you feel overwhelmed with the thought of tackling what seems like a paper or electronic nightmare? WAKE UP! Learn tips on managing your time, organizing your workflow, and transforming a pile of paper, a group of e-mails and a "TO DO" list into organized files and systems. For more information and to schedule these classes for your team, business or nonprofit, call us at 804-360-8337. Have you ever thought of turning your organizing and productivity skills into a profession? Are you ready to take your skills to the next level? Discover the world of professional organizing. In today's fast-paced, multitasking world, the need for professional organizers is increasing. People are faced with more demands and responsibilities and have less time. They are reaching out to professional organizers to help them be more productive and regain control of their personal and professional lives. 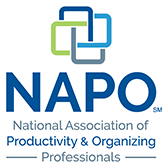 This 40-hour certificate program will equip you with knowledge of professional organizing practices, organizing specialties, and typical characteristics of organizers and their clients. Learn about the fundamental principles and concepts of organizing, such as categorizing, sorting, purging and space planning. Create a strategic business plan that will help you focus on what type of organizer you want to be and how you will market your services. Join two successful local organizers and discover the key components of starting and growing a successful organizing business. Does your current job require you to have the skills of a Professional Organizer? Are you ready to take your organizing and productivity skills to the next level? Discover the world of professional organizing. In today's fast-paced, multitasking world, the need for professional organizers is increasing. Employees are faced with more demands and responsibilities and have less time. They are reaching out to administrative professionals to help them be more productive. If you find yourself organizing your boss, employees or others in your company, this 24-hour certificate program will arm you with the skills and tools you need to become an in-house professional organizer. Learn how to successfully manage people, space, systems, paper/electronic files and time. Discover how to become more efficient resulting in increased productivity. For more information and to receive the schedule and location for these classes, call us at 804-360-8337.